Taking all the time to find, shoot and edit that print that is working displaying is wasted if you are just going to slap a piece f paper up on the wall. Real works of are should be presented in a way that fits your style. These are easily one of the fastest and safest way yo display your photos without fear of breaing glass. These Stand Out Boards are thick styrene foam that is feather lisht. You phots are adhered to the board and it can be display in high traffic areas, on in childrens rooms without fear of them being knocked off the wall and haing broken glass. There is no glass, no wood to break. 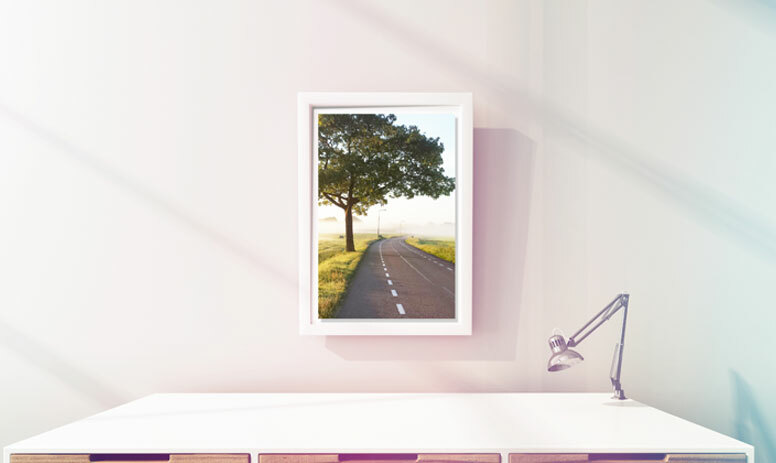 Mounting photos is necessary to keep the prints from rippling and puckering whiled framed. This keeps the prints flat and easily too view. 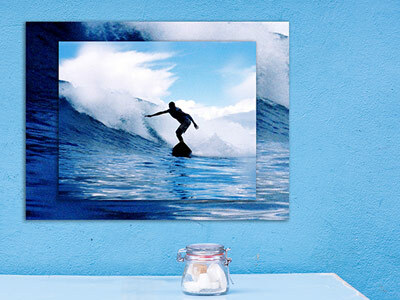 We offer several substrates of mounting boards. 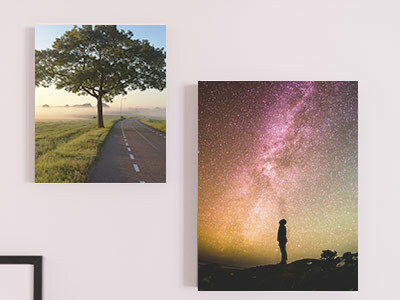 Stretched cnvas prints can be hung without any frame. This gives a very modern look and feel. These are the traditional table top or hanging wall frames, but with a twist. We stock a wide selection of contemporary and traditional styles. to show off your work to its fullest.